With SSH Tectia Server for IBM z/OS, the baseline SSH Tectia client/server solution functionality can be expanded to perform enhanced file transfer (EFT) operations. EFT offers higher encryption performance, more comprehensive manageability, and additional reliability features such as checkpoint/restart for file transfers. 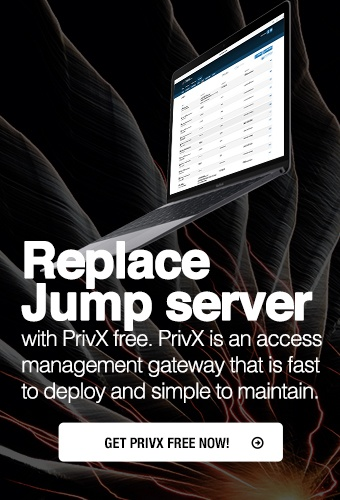 The checkpoint/restart mechanism provides fault tolerance for large file transfers without performance penalties for increased user productivity, improved transfer reliability, and easier file transfer management. The destination server can be any Secure Shell server. During file transfer, the checkpoint/restarting creates entries (files) to a checkpoint directory storing the state of the transfer at the specified time: file timestamp and size, the position in the file, etc. If the file transfer is then interrupted for some reason, the last known state of the transfer is saved in the checkpoint entry, and the file transfer can be restarted from the known position. After the file has been successfully transferred, the checkpoint entry is removed. When SSH Tectia Server for IBM z/OS client tools are used together with SSH Tectia Server, file transfer performance is enhanced with streaming. Streaming transfers file contents between SSH Tectia Server and the client-side using a separate data channel instead of the SFTP channel that carries the SFTP commands, thereby avoiding some bottlenecks of the protocol. All data transferred is still encapsulated into the Secure Shell transport connection, meaning that this enhancement does not have any security implications. The SFTP streaming protocol extension is fully backward-compatible with all earlier SSH Tectia Client and Server versions. File prefixing prevents unintentional file usage at the destination before the file transfer is complete. It enables optimized third-party job scheduling and event-based triggering of file resending from destination directories. The prefixing adds a prefix to a filename during the file transfer and thus renames it. The prefix is removed after the file has been successfully transferred and the file has its original name again. File prefixing can be activated with any Secure Shell server as the destination server. When SSH Tectia Server for IBM z/OS client tools are used together with other IBM z/OS systems, optimized throughput can be provided with extended streaming that uses direct, one-step processing of MVS dataset transfers, and converts the file format and character set on-the-fly between the distributed hosts and IBM z/OS systems.